Pets, children, wife, favourite tv characters are some of the most requested cufflinks! 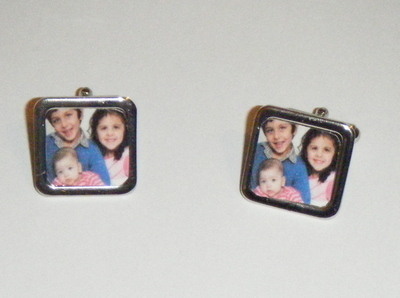 Pictured cufflinks are an example - I will square off any pictures sent, so please bear that in mind when sending me your pics! I WILL EMAIL YOU A PROOF OF YOUR CUFFLINKS BEFORE SENDING THEM!